S&P stands ready to help you navigate every challenge—whether you can see it coming or not. Make sure every investment you make—every solution you use—supports your organization's clinical and revenue goals based on the way you actually work. Decades of real-world experience implementing, optimizing, and customizing Cerner solutions allow us to do things others can't. Many healthcare teams implementing significant EHR, LIS, and Patient Accounting initiatives understand the advantages of working with an experienced third-party consultant to help with one or more aspects of a complex implementation. Typical benefits include: objectivity in vendor selection, more realistic scoping of project needs from both in-house and vendor perspectives, staff augmentation to allow in-house resources to keep up with current duties, experience-based insights from other engagements that help avoid common pitfalls, etc. Whitepaper: Measuring the value of a third-party consultant. We are pleased to share some insights about the value of engaging a third-party consultant to help with your implementation, migration, or upgrade project. We’ve assembled perspectives from the industry at-large, as well as the experiences of some of our valued clients. Andrew Splitz co-founded S&P Consultants with Steve Pratt, leveraging more than 30 years of healthcare experience in both clinical support and technical operations capacities—including 12 years with the U.S. Army Reserve. He is a member of HIMSS and ASCP, and has been a CAP inspector. We have great experience in-house. But we also know that everybody’s stretched maintaining current production demands. So bringing in outsiders who you can trust to work in your environments while you’re supporting production and helping you implement to hit a timeline, that’s invaluable. Executing on Clinically-Driven Revenue Cycle (CDRC) initiatives is a top priority for most of today’s senior healthcare executives. Getting a handle on the cost-overruns, duplication, and inefficiencies of even a modest-sized healthcare organization is impossible without a deep understanding of the myriad transactions, interactions, and actions that lie untapped within the data of your HIT solutions. Serious progress on your RevCycle goals amidst uncertainty is possible when you have the right guidance and on-the-ground assistance.At S&P Consultants, we’re helping clients move forward—even amidst current regulatory ambiguity—to achieve better financial and clinical outcomes today. And to be well-positioned for what promises to be a competitive next era in healthcare. Michael brings a physician’s expertise and in-depth specialization to his role as Chief Medical Information Officer. Michael has worked directly with S&P clients since 2013, specifically physicians and the executive teams, to consult, design, build, implement, and provide support for all aspects of their clinical information systems. In partnership with S&P we have taken a different approach to our revenue cycle implementation that culminated from their experiences with Cerner and lessons learned from similar projects. This innovation is what attracted us to S&P and honestly the investment has paid off. Building on solutions like Cerner Millennium, the experts at S&P—nearly a dozen of whom are doctors or nurses—stand ready to design, build, and implement a solution for your organization. Whether you’re considering a total EHR migration, or are adding on a departmental solution such as lab, the S&P team stands ready to help create a future state that aligns perfectly with your organizational needs. You’re over budget and behind schedule. When it comes to Cerner’s Clinically Driven Revenue Cycle, why the last advice you want to hear might be your only chance to avoid catastrophe. With more than 16 years' experience in HIT, Zach has a proven ability to mold talented, high-performing teams that contribute to the growth of healthcare organizations.  With the experience, insight and complete transparency that S&P brings to the partnership, I feel that my organization is now in a position to take our system conversion live on time and within budget. Relying on your vendor to determine when you’re ready for an upgrade is a bit like letting the fox guard the chicken coop. It’s hard to be confident that they are completely unbiased and objective. On the other hand, it can be frustrating to continue to work with and maintain outdated systems—using work-arounds and bandages to achieve needed functionality. Gaining physician efficiency and adoption, requires an implementation strategy that minimizes set-backs and builds confidence. Kandi enhances relationships with S&P clients by providing them with invaluable expertise developed over her 20 years in healthcare information systems. First and foremost, S&P has the client's success at the core of their business model. They have been responsive and reliable in providing our staff augmentation needs. S&P brings a wealth of experience and perspective to our Cerner project.